by H.P. 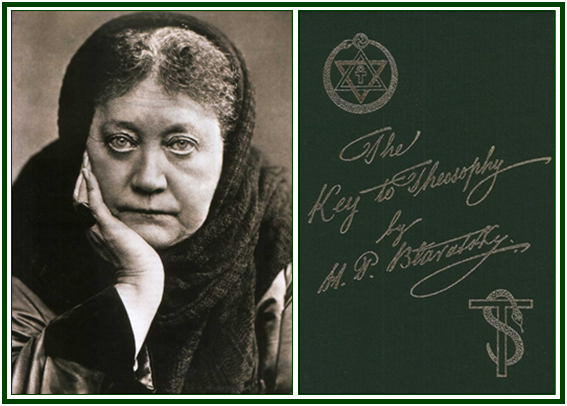 Blavatsky, Theosophy Co., Los Angeles. ENQUIRER. But what is Karma? THEOSOPHIST. As I have said, we consider it as the Ultimate Law of the Universe, the source, origin and fount of all other laws which exist throughout Nature. Karma is the unerring law which adjusts effect to cause, on the physical, mental and spiritual planes of being. As no cause remains without its due effect from greatest to least, from a cosmic disturbance down to the movement of your hand, and as like produces like, Karma is that unseen and unknown law which adjusts wisely, intelligently and equitably each effect to its cause, tracing the latter back to its producer. Though itself unknowable, its action is perceivable. ENQUIRER. Then it is the “Absolute”, the “Unknowable” again, and is not of much value as an explanation of the problems of life? THEOSOPHIST. On the contrary. For, though we do not know what Karma is per se, and in its essence, we do know how it works, and we can define and describe its mode of action with accuracy. We only do not know its ultimate Cause, just as modern philosophy universally admits that the ultimate Cause of anything is “unknowable”. ENQUIRER. And what has Theosophy to say in regard to the solution of the more practical needs of humanity? What is the explanation which it offers in reference to the awful suffering and dire necessity prevalent among the so-called “lower classes”. THEOSOPHIST. To be pointed, according to our teaching all these great social evils, the distinction of classes in Society, and of the sexes in the affairs of life, the unequal distribution of capital and of labour – all are due to what we tersely but truly denominate KARMA. ENQUIRER. But, surely, all these evils which seem to fall upon the masses somewhat indiscriminately are not actual merited and INDIVIDUAL Karma? THEOSOPHIST. No, they cannot be so strictly defined in their effects as to show that each individual environment, and the particular conditions of life in which each person finds himself, are nothing more than the retributive Karma which the individual generated in a previous life. We must not lose sight of the fact that every atom is subject to the general law governing the whole body to which it belongs, and here we come upon the wider track of the Karmic law. Do you not perceive that the aggregate of individual Karma becomes that of the nation to which those individuals belong, and further, that the sum total of National Karma is that of the World? The evils that you speak of are not peculiar to the individual or even to the Nation, they are more or less universal; and it is upon this broad line of Human interdependence that the law of Karma finds its legitimate and equable issue. ENQUIRER. Do I, then, understand that the law of Karma is not necessarily an individual law? THEOSOPHIST. That is just what I mean. It is impossible that Karma could readjust the balance of power in the world’s life and progress, unless it had a broad and general line of action. It is held as a truth among Theosophists that the interdependence of Humanity is the cause of what is called Distributive Karma, and it is this law which affords the solution to the great question of collective suffering and its relief. It is an occult law, moreover, that no man can rise superior to his individual failings, without lifting, be it ever so little, the whole body of which he is an integral part. In the same way, no one can sin, nor suffer the effects of sin, alone. In reality, there is no such thing as “Separateness”; and the nearest approach to that selfish state, which the laws of life permit, is in the intent or motive. ENQUIRER. And are there no means by which the distributive or national Karma might be concentered or collected, so to speak, and brought to its natural and legitimate fulfilment without all this protracted suffering? THEOSOPHIST. As a general rule, and within certain limits which define the age to which we belong, the law of Karma cannot be hastened or retarded in its fulfilment. But of this I am certain, the point of possibility in either of these directions has never yet been touched.